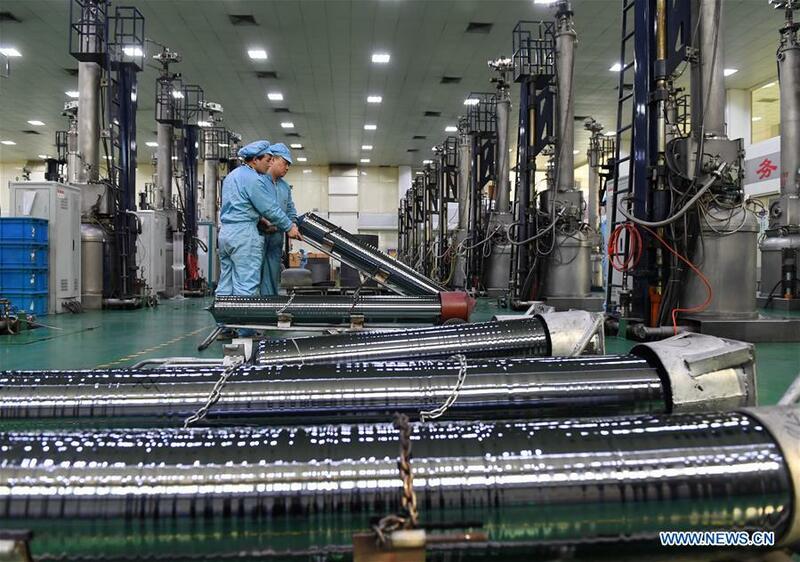 China's manufacturing sector expanded at a faster pace in November, official data showed Thursday. The country's manufacturing purchasing managers' index (PMI) came in at 51.8, up from 51.6 in October, according to the National Bureau of Statistics (NBS). "The data beat market expectations, and pointed to continued resilience in China's growth headed into year-end," said Tom Orlik, Bloomberg chief Asia economist, in a research note. "The economy remains in a sweet spot -- with policy makers facing little trade-off between the conflicting objectives of growth and deleveraging," Orlik said. Sub-indices for production and new orders came in at 54.3 and 53.6, respectively, up from 53.4 and 52.9 last month, indicating accelerated growth in both supply and demand, according to NBS senior statistician Zhao Qinghe. Companies were more willing to buy, as the sub-index for purchase volume surged to 53.5, the second highest reading this year. Equipment manufacturing and high-tech manufacturing continued robust growth, with the sub-indices coming in at 52.9 and 53.2 respectively, suggesting improved industrial structure. External demand bounced back, with the sub-index for new export orders edging up to 50.8 from 50.1 in October. China's manufacturing PMI has been in positive territory for 16 consecutive months. The NBS data also showed that China's non-manufacturing sector expanded faster in November, with non-manufacturing PMI coming in at 54.8 in November, up from 54.3 in October. ​China's manufacturing sector expanded at a faster pace in November, adding to evidence of continued momentum in the economy, official data showed Thursday.